August already? The month of holidays, sunshine *fingers crossed, * and a time for memories to be made. This means more photo opportunities = our makeup needs to be perfected in the heat, unless you’re rocking that awesome Summer natural glow – I’m all for both. In this heat, makeup can be a problem. The sweaty upper lip, hay fever and sneezing which causes your eyeliner and mascara to run, or just the feeling of foundation being too heavy in the sun. However, if you’re a typical girl who still wants to apply some of the basic makeup favourite’s throughout the Summer then look no further. It is so important to be able to prime your face before putting your makeup on. This creates a great base for your makeup to sit on, whilst making your face moisturised and feel soft. By priming your face and eyes, your makeup has more of a chance of staying on the whole day by beginning with a base. Dry lips are a pain. Even though it is more common for your lips to become chapped in the Winter, the sun can actually dry out your lips too. This means that keeping a handy Vaseline in your handbag will become a life saviour to keep your lips nice and smooth. After applying your foundation, to set this layer onto your face better and to reduce the look of that ‘sweaty upper lip or forehead,’ then apply some light face powder over the foundation. This will create a coat of protection to keep your foundation in place and not have that awful feeling of your makeup dripping off your face. No one want’s that. Those who suffer with hayfever know how annoying this is. You’ve just perfected the winged eyeliner and fleeky lashes, go out during a nice Summer’s day and your eyes puff and water, ruining your makeup. We’ve all been in somewhat to a similar situation. So to avoid this from happening then purchase a waterproof eyeliner or mascara to keep looking good all day long. Finally, the necessary spray every girl need’s in their life. A setting spray. 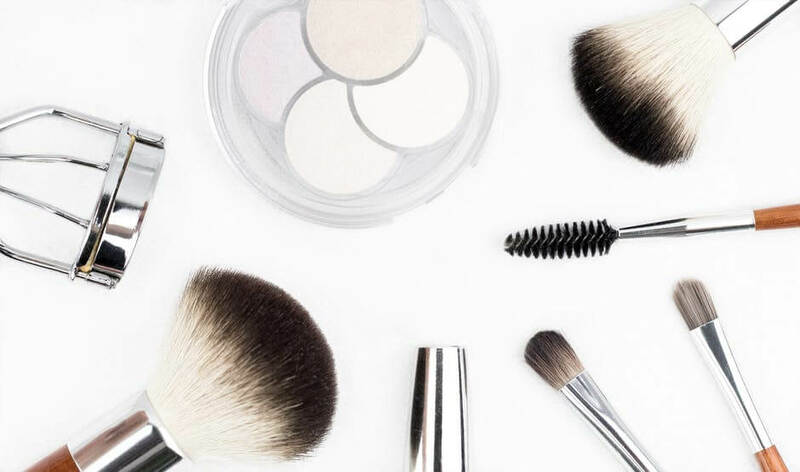 Lock your makeup into place with a setting spray which isn’t too heavy or sticky during the hot season. A lightweight spray will cover your face and soak into your makeup to make sure that you can look good from day to night.